Hummus, Cucumber, Avocado, Red Pepper & Artichoke Bruschetta and Goat Cheese on Whole Wheat Bread. Simple and healthy yet packed with flavor. Yum! What are your favorite veg sandwiches? 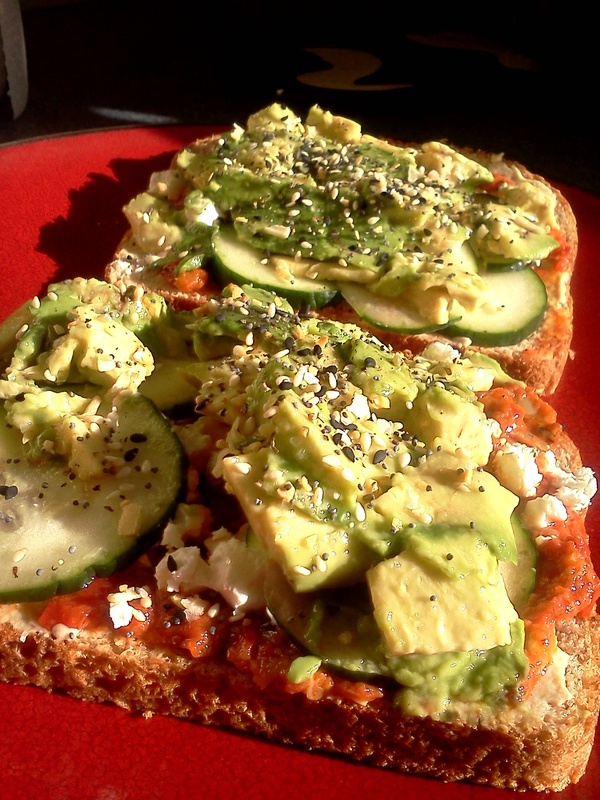 Tags: avocado, cucumber, goat cheese, hummus, red pepper and artichoke bruschetta, whole wheat bread. Bookmark the permalink.